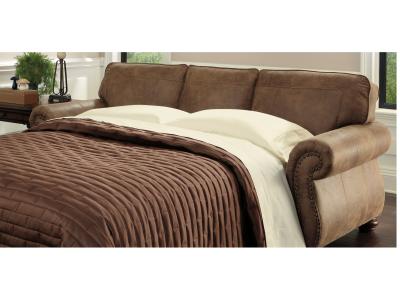 Indulge your lust for comfort and love for contemporary design with the Dailey full sofa sleeper. 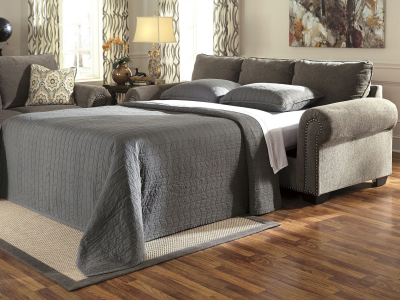 M..
With a soft textured microfiber upholstery fabric beautifully surrounding the boxed back cushions ..
Meet the queen sofa sleeper in the gray flannel suit. Inspired by tailored menswear—this sleek and .. Looking to breathe new life into your everyday living space? With its lovely lines, setback rolled .. Dramatically transform your living space with the rustic look of weathered leather you love—at a fr.. 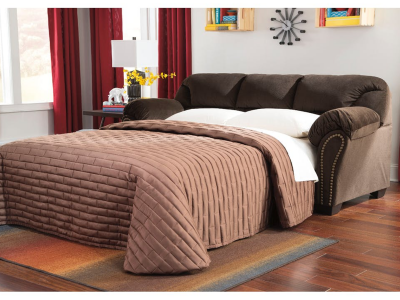 Whether your style is American classic, contemporary or an electric mix, the beautifully versatile ..
Dreamland is just a seat away with the modern Jesse full sofa sleeper. The minute you settle in..
With the comfort of thick padded arms and supportive seat cushions along with the plush headrest st..